I played through this as a linked game; some of my character\'s items were transferred from Oracle of Seasons, so my gameplay was slightly different than a player choosing \'New Game\'. Every once in a while, I get the idea that I need to take a break from modern gaming experiences and catch up on some of the classics that I missed. When I realized that I had never played the two Game Boy Color Zelda games, I made sure to correct that by picking them up used at a local used game shop. I\'m glad that I did - these are very solid adventures. In 2001, Nintendo and Capcom decided to team up to make a pair of Zelda games for the Game Boy Color. 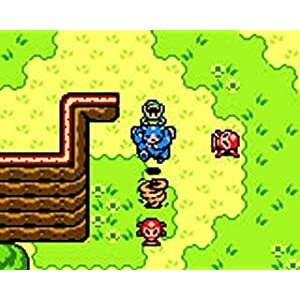 Oracle of Ages and Oracle of Seasons are both distinctly separate adventures, that when linked together, show that there is a common enemy behind the attacks on each land. Oracle of Ages takes place in Labyrnna, while Oracle of Seasons takes place in Holodrum. One day, Link wakes up and finds himself in a strange forest. He hears a voice crying for help, and finds Impa, Princess Zelda\'s nurse from Hyrule, who is looking for a singer named Nayru. You help her find Nayru, who is the Oracle of Ages, and can control time. Impa was being possessed by Veran, the Sorceress of Shadows. Upon finding Nayru, she leaves Impa\'s body and takes over the Oracle of Ages. She then leaves through a time portal that she opens, going back three hundred years to bring darkness and despair to the world. 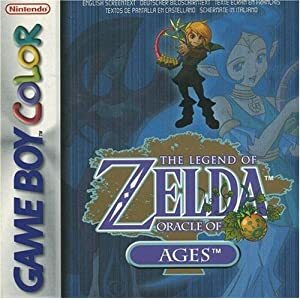 In its essence, Oracle of Ages is similar to other classic 2D Zelda games, like Link\'s Awakening, A Link to the Past, and even the original Legend of Zelda. In this adventure, you play as Link, and you wield a sword, sheild, and other various weapons and items that you pick up in your adventure, including a boomerang, bombs, a switch hook, a seed shooter, and many others. It draws many elements from the classic original Zelda, while borrowing and inventing newer elements to go with it. This game is played with a 2D, top down perspective. You see your enemies move towards you, and you slash them with your sword or other weapon to eliminate them. There are usually between one and six or so enemies on the screen at a time. Each screen is independent; there is little to no scrolling in a room, with a few rooms in dungeons being an exception. When you reach the edge of the screen on your GBC, the whole screen moves and you begin on the next screen on the opposite side. It\'s very much like the classic Legend of Zelda that way. The protector of the land, the Maku Tree, who is female in this game (he\'s male in Oracle of Seasons), wants to help you save the land and rescue Nayru. As a result, she gives you hints on what to do next, and where to go next. She leads you to find each of the Essences of Time, which leads you to eight complex dungeons, with a new powerful item and a boss inside. It also rewards you with a heart container, which increases your maximum health. Early on in your quest, you gain the Harp of Ages. This item allows you to travel through time, between the present time, and 400 years in the past. This is the main change mechanic in Oracle of Ages - as you travel through time, things change. Sometimes a path is blocked in the present that is open in the past, and vice versa. You can also place vine seeds in certain places in the past to allow you to access those platforms in the present. There are other things, including quests and even a dungeon that requires time travel. 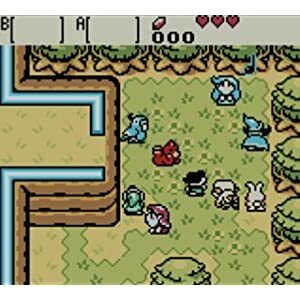 It\'s kind of like the light and dark world of A Link to the Past, except there is nothing dark about the past, though it does use a darker color pallete that makes it appear older. All in all, it\'s a proven game mechanic that works well here. In Zelda games, Link increases his power not by gaining levels or some direct character improvement mechanism, but by acquiring items. 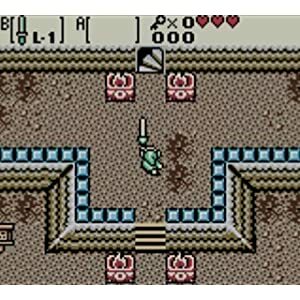 There are some unique items in this adventure never seen before in a Zelda game. The first is the Seed Satchel, and eventually, the Seed Shooter. You can find five kinds of seeds throughout your adventure, and they do different things either launched from the Seed Shooter or used from the Seed Satchel. Ember Seeds burn items, Gale Seeds transport you to any other seed tree you have visited, Pegasus Seeds help you run much faster, Scent Seeds help draw enemies to them, and Mystery Seeds are used to solve puzzles. Other unique items include the Strange Flute, the Mermaid Suit, and the very neat Cane of Somaria. I was pleasantly surprised by the many and unique items in not only Oracle of Ages, but Oracle of Seasons. In this game, the puzzles use them in many very creative ways. Speaking of puzzles, this game, Oracle of Ages, really takes the cake. There are some diabolically hard puzzles in this game; perhaps some of the trickiest in the series. Some particularly memorable ones to me were the Mermaid\'s Cave, and Jabu-Jabu\'s Belly. Mermaid\'s cave requires going back and forth to the same cave in multiple time periods, and Jabu-Jabu\'s Belly requires some really fun and difficult puzzles involving raising and lowering the water level. All in all, I can\'t help but highly recommend this game for those who love complex puzzles in Zelda games. In contrast with the puzzles, the battles in this game are fairly easy. It seems the developers left the more challenging boss battles for Oracle of Seasons, though this game does have a few tricky ones. A few in particular required switching seeds in the seed shooter depending on the color of the opponent; these require pressing \'start\' a lot during battle to change up to the required items. All in all, boss battles were satisfying, if not overly challenging in comparison to Oracle of Seasons in my recollection. Another neat system introduced in these games is the ring system. By planting Gasha seeds, trees can grow in certain plots of soil. After a while of playtime, the trees grow and produce a seed. Often, these seeds include rings. You can also gather rings from various treasure chests or quests scattered throughout the land. These rings, once appraised, can improve your game experience in lots of ways. They can do everything from increasing or decreasing damage, giving you strange special abilities, transforming you into another creature, or doing nothing at all - there are 64 rings in this game, some of which are only accessible in Oracle of Seasons. Collecting rings is one of those things that this game offers to gamers who like to see everything in a game. It can take quite a while to collect them all. The link game system is actually pretty fun, though a bit clunky. 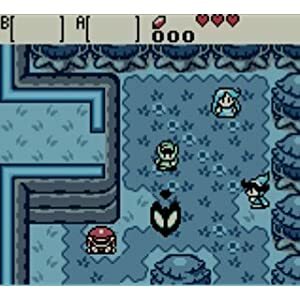 If you are willing to write down the complex passwords or link two Game Boy Colors with a cartridge each, once you complete the quest in either Ages or Seasons, you can start a Link Game on the opposite game. What this does is carry over all of the collected rings, give you an extra heart container, and offer secrets, or passwords, that you can collect throughout the game world which, when transferred to the other game, can help you get dramatically upgraded items or other bonuses. The linked game also exposes additional storyline that shows what bad people are really behind what is going on in both Labyrnna and Holodrum - and you can defeat the evil behind both attacks. It\'s really well done and adds great incentive to getting both games, if playing two excellent Zelda games isn\'t enough motivation. The graphics are much like the previous Game Boy Color game, Link\'s Awakening DX. That is to say, some of the best on the Game Boy Color that I am aware of. It has the feel of the 16bit The Link to the Past, with obviously much less detail, and the color pallete is also much less. Nevertheless, it does a great job with the limited resources that the Game Boy Color has available. If the Game Boy Color had more colors available, it could have been quite a bit better, but given the limitations it looks great. Sound effects are pretty much what you expect given the limited capabilities of the Game Boy Color. Slashes and enemy damage sounds all do what you might think they do. When it comes to music, it\'s pretty good. The overworld tune for both the past and present offer a nice mix of the classic Zelda theme. The present is a more upbeat version, while the past is a slower version. Both are pleasant. Other tunes are a nice mixture of old and new tracks that all sound nice. It\'s pretty much the quality you expect from anything Zelda - which is to say fairly high. When it comes to appropriateness, it\'s a mixed bag. It\'s still generally fairy tale style magic like in other Zelda games, but it is a bit darker in that Veran possesses the body of Nayru who makes her do things that she would never do. Otherwise, it\'s filled with fairly light fairy tale magic, like feathers that help you jump, seeds that burn things, mermaid suits that help you swim like a mermaid, and other things of that nature. Your enemies use magic also. Other than the main storyline with the posession, it\'s pretty light hearted. The only violence is what is typical in these kinds of games - Link against monster. There is nothing that approaches blood or gore. There is no language issues. One character suggests that you should marry them. It\'s harmless in the language or sexual content areas, and morally you are trying to do the right thing. One of the NPCs is willing to sacrifice themselves to save his friend; he fails, so Link steps in to do what he can\'t. My assessment of The Legend of Zelda: Oracle of Ages is that it is a great game that was likely missed by many Zelda fans. The darker imagery of posession is somewhat troubling, but for those who don\'t mind that plot element there is an excellent adventure here to be enjoyed. When played along side of The Legend of Zelda: Oracle of Seasons, there is an epic scale adventure that spans the two games ahead. While I feel that Oracle of Ages is the better of the two, they are both worth playing for fans of the Zelda series who can accept the plot elements as they are.